Paradise found! 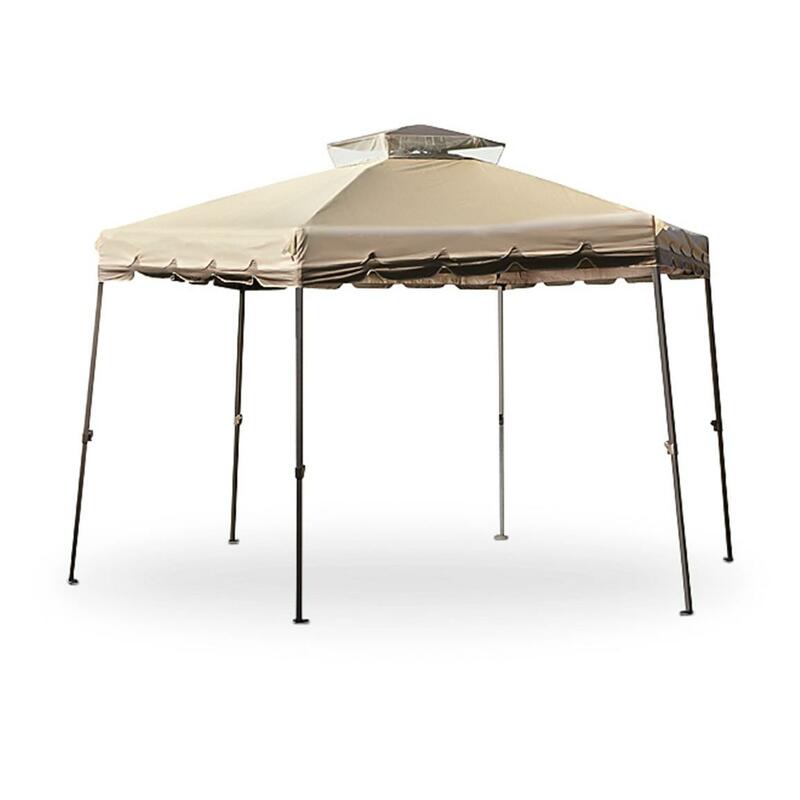 Free and easy summer living is here with this spacious open-air shelter for entertaining in the backyard or at the park. The accordion-style frame goes up quick for short-term sun protection…no more lobster-red sunburns! 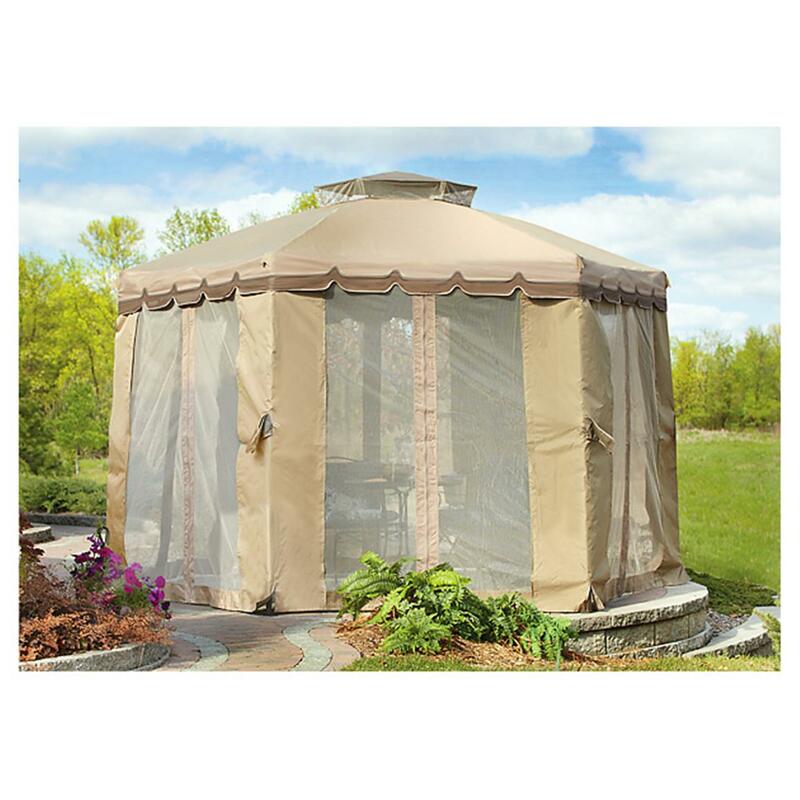 And with mesh bug netting all around you'll be free from pesky biting insects. 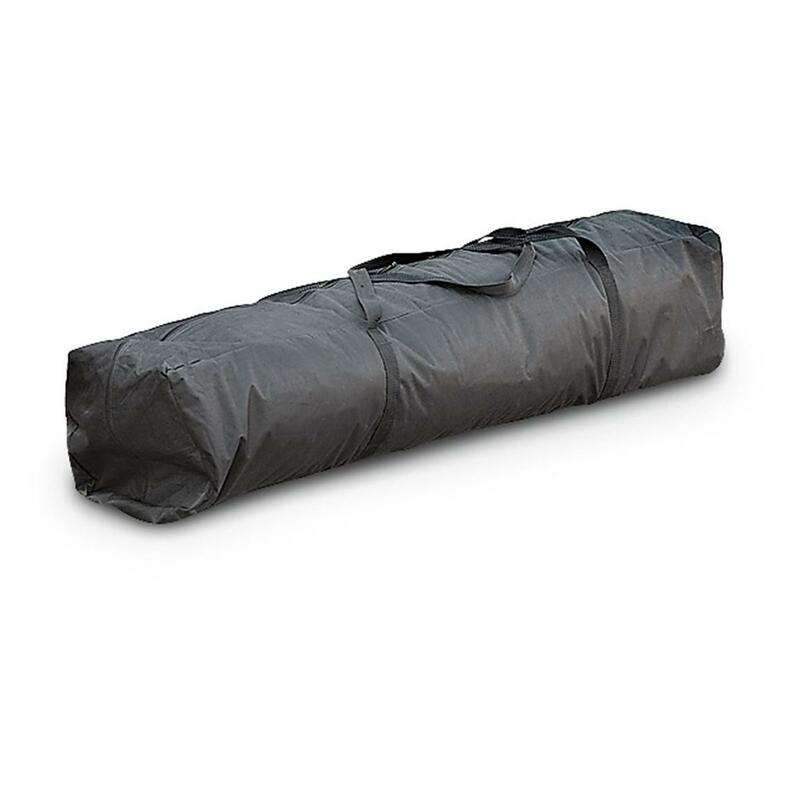 The water-resistant polyester fabric offers protection against a passing shower, too. Place your order now for bug-free shade-to-go bliss! Dimensions: 12' diagonal x 12'h. 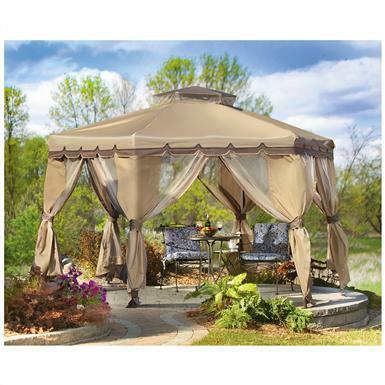 CASTLECREEK Paradise Gazebo with Bug Netting, 12 x 12 is rated 3.8 out of 5 by 30. Rated 4 out of 5 by Cowboy from Nice Equipment for a great price. The pop up gazebo is easy set up for 2 people, rather difficult for one person alone. It is attractive to the eye and works out well over picnic tables or even out in the yard. Minor problems with some stitching of cover, easily fixed, needs a good spraying with Scotchguard for rain repellant. Looking forward to more fun times with this great buy! Rated 4 out of 5 by Frankiegee from great price easy order, came exactly how it was advertised. Rated 4 out of 5 by Gardengirl from made our party Gave us a great additional space for an outside garden party, the tent went up with just a few minor issues, we had to fix two poles. The biggest issue is that we did not receive the Large Stakes to use with the guy wires. Rated 4 out of 5 by Kimberly from So far so good! Thoughtful design and appears to be well made. Love that it can be taken down and stored in a carry bag. Will see how it stands up to the test of time. Rated 3 out of 5 by Kjcspears from Love the concept-but canvas faded to pink after a few months We love this design so much this is the 3rd one we've purchased for ourselves and as gifts. After a few months use the canopy material turned a pinkish color. Could have dealt with that but parts of it didn't fade so it's a mix of colors. The metal mechanism part is still in excellent shape and is very easy to put up. I consider it a very sturdy gazebo. We've attached pics to show the color fade. Rated 4 out of 5 by Anonymous from Instructions I did not see where it told me I would need to take down each timeit was used!